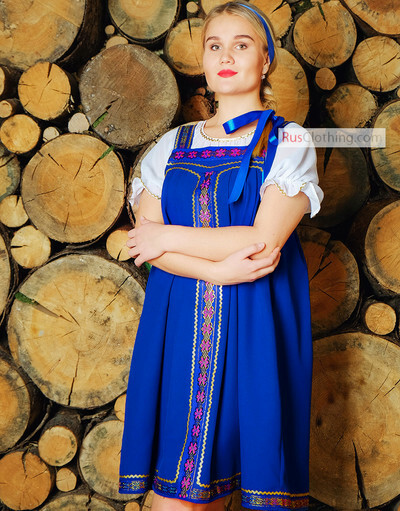 This Russian costume for women consists of a white blouse and a mini sarafan. This Sarafan dress is not only stylish but convenient to do folk dancing without restricting movement freedom. The pattern and style of this sarafan dress keeps old traditions and embroidery signs. All our Russian dresses are handmade and can be custom designed for any specific show. You can specify the dress length preferences. Russian leather boots can be found in Dance Shoes.